Grandson Church is taking a post graduate course in biology this winter…and a course on everything else here at the farm. The trick is to get the tractor started in zero temps and the bale positioned with the plastic wrapping off so the clamps grab it at the mid-point so the hay rolls out in an even line. The cows clearly look forward to their breakfast-almost-in-bed and you can see a calf or two moving in for a bite. What the young ones really like is sleeping in the hay instead of the frozen ground! The hay that’s left provides organic matter for the soil and also resends the pasture. 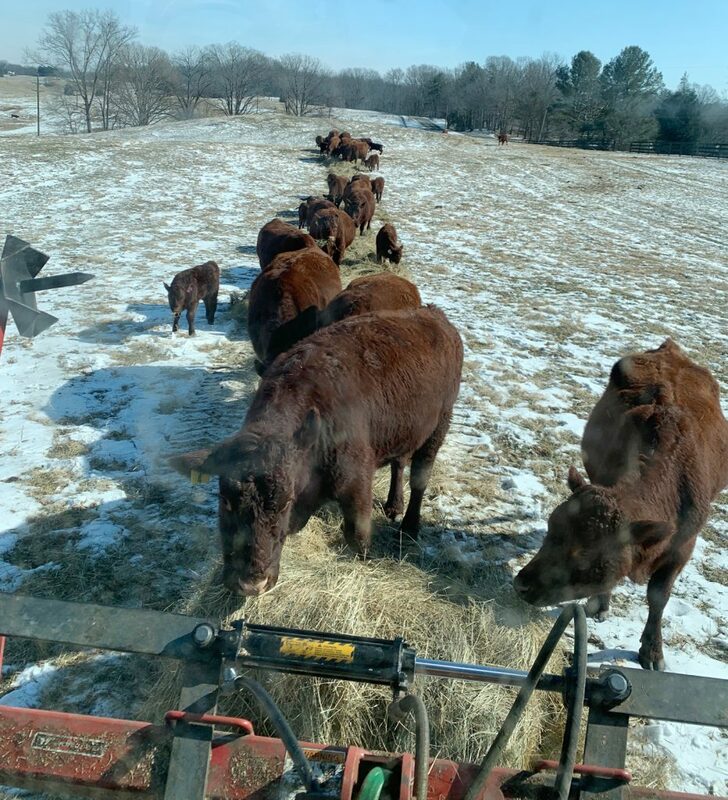 Since we purchase our hay…and the cows convert it to let’s call it “nutrients”…this is a fairly environmentally friendly procedure. Now next year if we can get Church to unroll it off his back…. to remove the net that kept the hay together.